Mrs. Rena Stover, 83, of 5823 Atwell Dr., Trilby, a resident there 17 years, died yesterday in St. Vincent's Hospital. 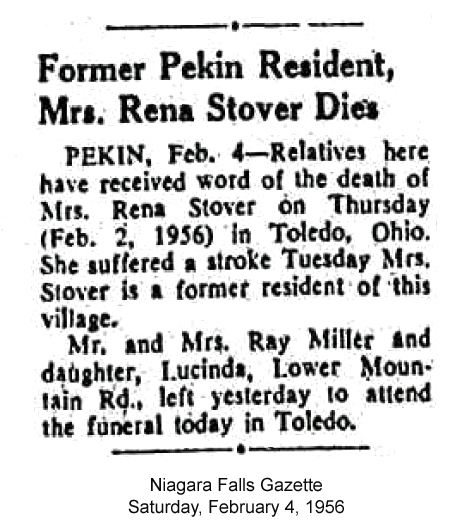 Born in Michigan, Mrs. Stover lived in Pekin, N.Y., Buffalo and Detroit, before moving to this area. She made her home with a daughter, Mrs. Ethel G. Clark. Surviving also is a daughter, Mrs. Bessie M. Ruslander, Pacific Palisades, Calif.; son, Ennis Oliphant; brother, Leon Martin, both of Ransonville, N.Y.; 12 grandchildren, 33 great-grandchildren and one great-great-grandchild. Private services will be tomorrow at 3:30 p.m. in the H. H. Birkenkamp Mortuary, conducted by the Rev. Robert Kramer of Trilby Methodist Church of which Mrs. Stover was a member. 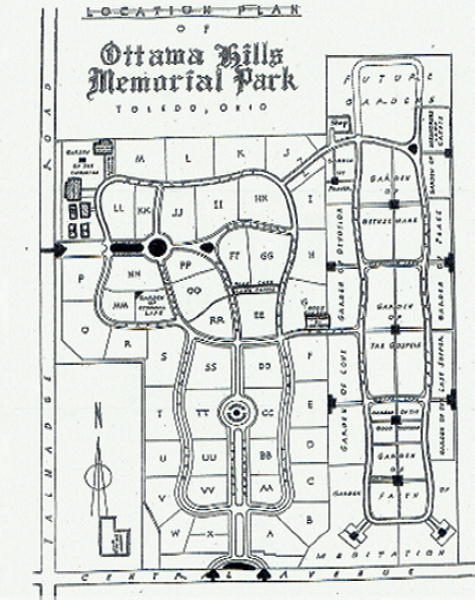 Burial will be in Ottawa Hills Memorial Park Cemetery.